Yeah, yeah, summer's winding down (quickly!) 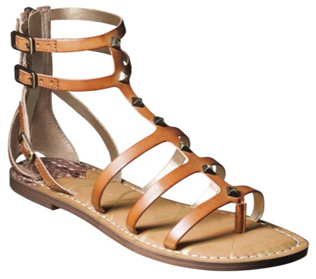 but these Sam & Libby gladiator sandals for $19 bucks are too good to pass up. After all, they'll work on warm-weather getaways and next year too! Just ordered these sandals online. I am really tempted to buy the dress, too. Thanks for the inspiration! I love your blog.